I love both the quilt and the pillow you made. I'm sure they will be well love! What a lovely set! I look forward to seeing the big brother's quilt next. I've been eyeing up the Miss Kate fabrics - this is a super example of using them and I love the ric-rac touch. 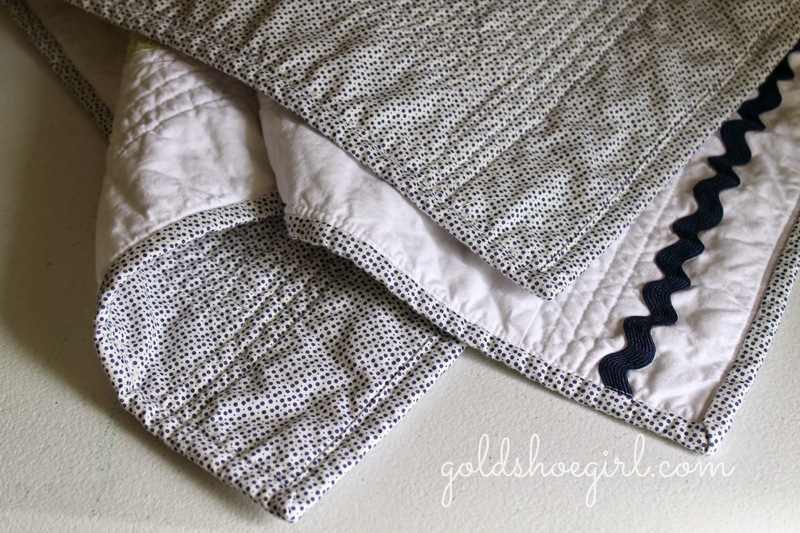 Great pillow, wonderful quilt - well done! Jen - You're so sweet. You won't be sorry if you get yourself a little bundle of Miss Kate! 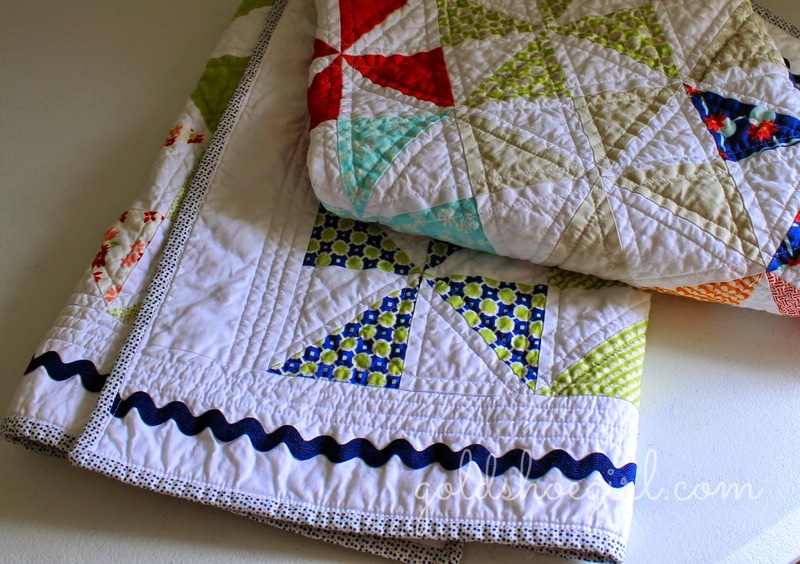 This beautiful quilt will be something Iris will cherish all her days. Beautiful! Thanks Nana! I appreciate your kind thoughts. First of all - I LOVE NAVY! second I LOVE RIC RAC! 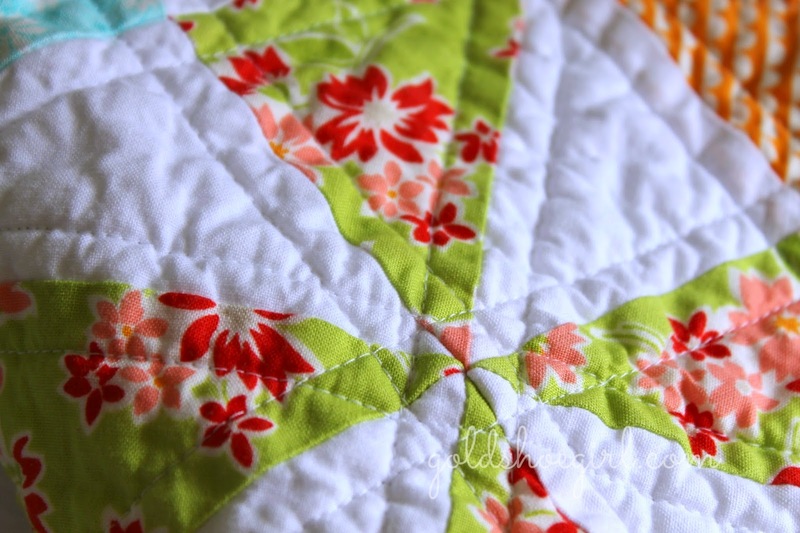 is there any special way you incorporated it into the quilt. I want to use it, but am always afraid of messing something up. 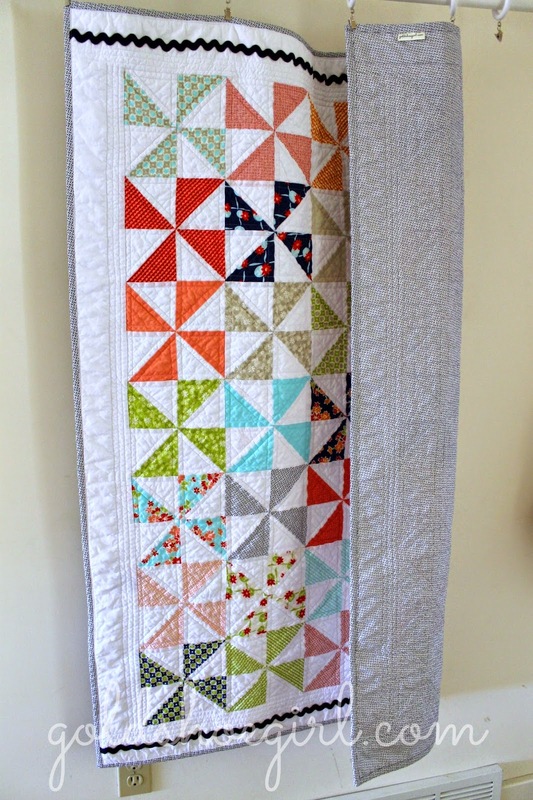 Hi Deanna - After I made the quilt top I just sewed on the ric rac with matching thread before I basted it and quilt it. 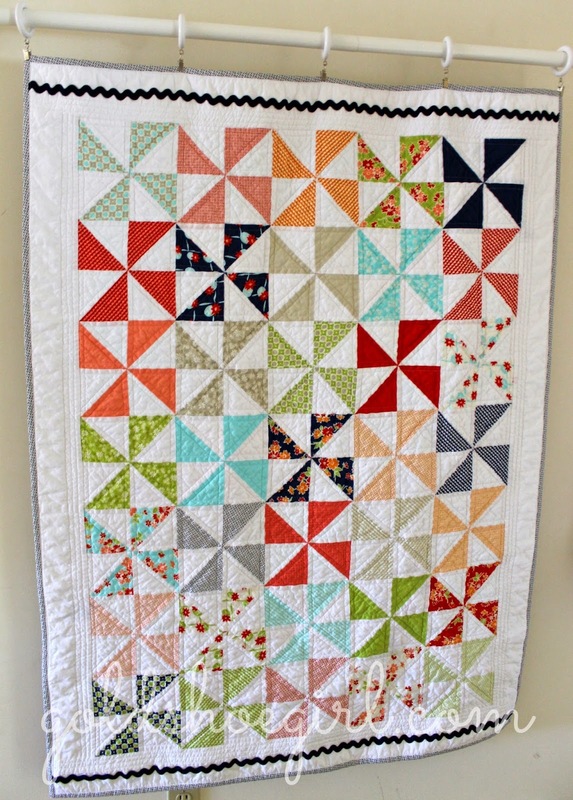 I always leave the ends just a little long and trim them after I quilt the top. I like the ends of the ric rac to end up sewn into the binding so that they look all nice and they don't fray. I think if you try it you love it as much as I do!!! 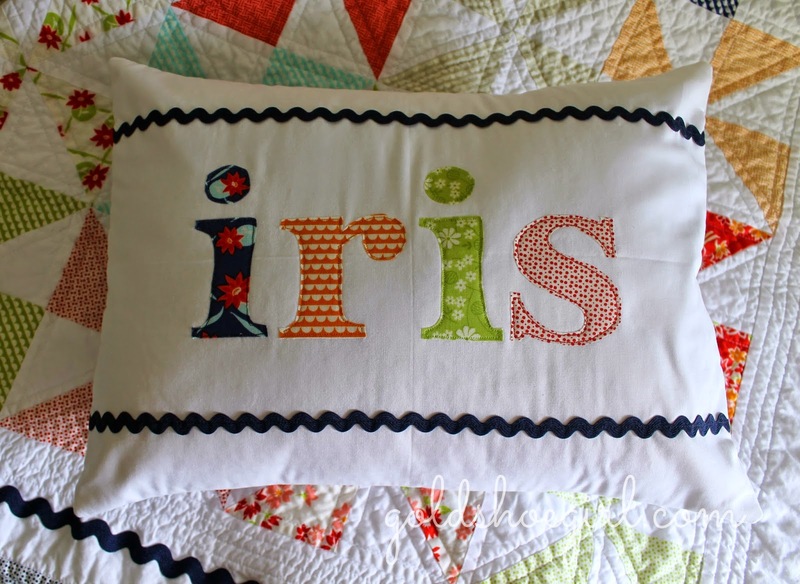 I love the quilt & pillow for Iris - so cute! Awesome job!